how I build a VPN tunnel to Fritzbox 7490? I own a GL-AR300M. I would like to use this to go in a free WLAN on my home router (Fritzbox 7490) in to the Internet. So build a VPN tunnel to Fritzbox. How must the GL-AR300M be configured? How are the attitudes with the Fritz box? As far as I know, not possible with default fritz box software. 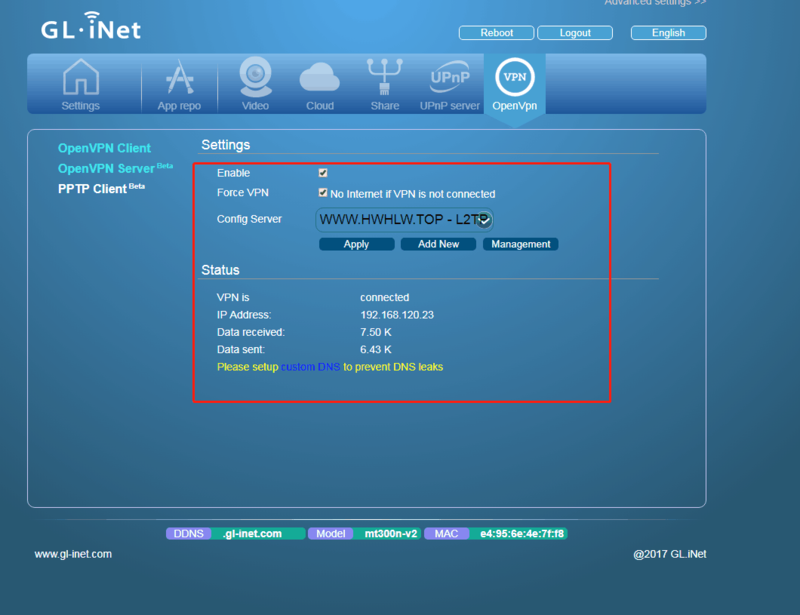 It is possible using freetz and OpenVPN. No - using another firmware on the Fritzbox is not the right way. Not every user is allowed to flash a third-party FW on his router. Unfortunately, Fritzbox doesn’t support openvpn protocol, if you don’t want to use Freetz firmware which is with openvpn supoort. Best solution to connect a whole network to an Access Server is to set up a Linux gateway client system as described here in the site-to-site setup guide. 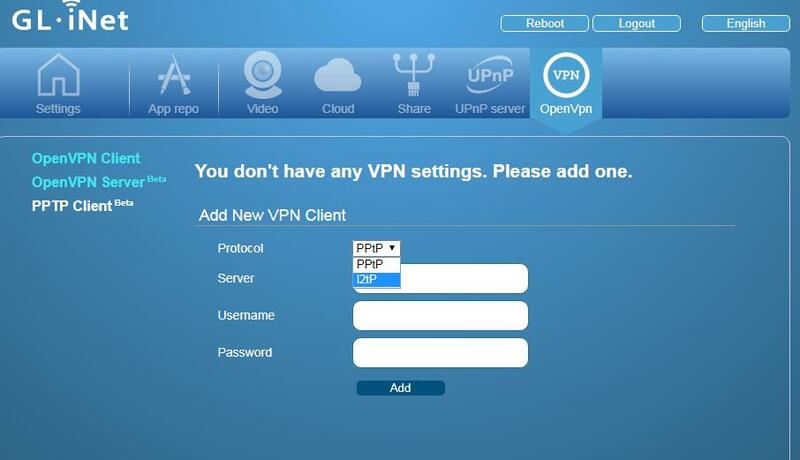 Setting up openVPN isn´t that hard - because it has been made easy for users. It is possible to connect openWRT and the Fritz!Box with VPN - but it has never been made easy. I don´t think it is the right way to import a self configured file into the Fritzbox - to many errors can happen. You only have to add a user to the FritzBox and give him the rights to use VPN. Fritzbox does not have Travel-Routers - otherwise i would have bought one from them. There are a lot of Fritzbox users in Austria and Germany who would love to have this feature. I don´t think that many of them know about the possibilities this routers are providing. I found them “accidentally” about a week ago - and it´s a real great gadget! So please try to impliment this feature to your great “little” routers - It would be great if i could just “switch” vpn on and be connected with my FritzBox. How to add IPSEC/L2TP support? Fritzbox is so popular in Germany. It is good to add support to their routers. Short of resource and we’d focus on Wireguard now. Couldn’t agree more! This is an essential feature which is currently missing!!! On top: the openVPN protocol is incredibly slow … L2TP support is URGENTLY needed! I love my GI-NET routers, but without an easy configurable L2TP VPN support … I’m close to switch to another router. Would be very unfortunate! Thanks a lot! This means a VPN connection to a Fritzbox is now possible? Do you have a tutorial at hand how to set it (i.e. L2TP) up in v2.27? Not sure if it works for Fritzbox, but you can have a try. Note that it only is beta version.